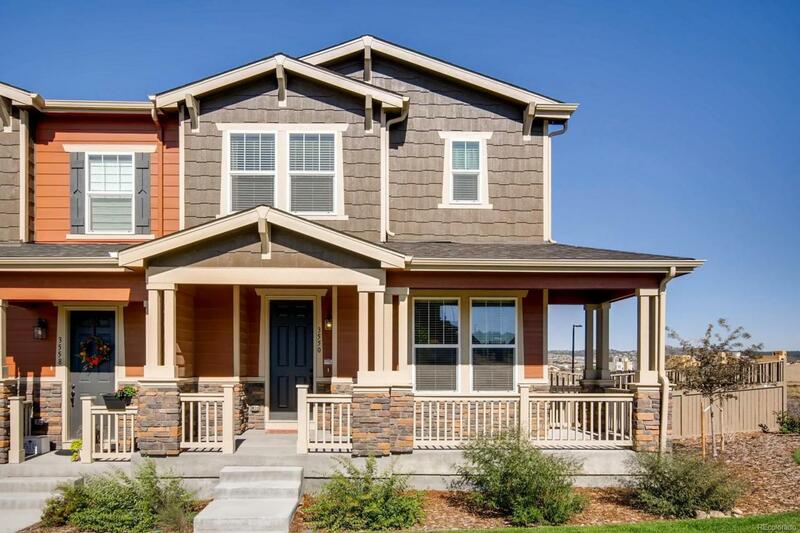 This low maintenance, energy efficient home is a must see. Almost new with so many upgrades! Modern kitchen with large island/quartz countertops, stainless appliances. Wide plank wood laminate floors, Refrigerator and Faux wood blinds included! Extra large side yard with faux turf. (still under warranty) Radon Mitigation system. Covered front porch. Unfinished basement with rough in for future bathroom. Adjacent to open space. Master-planned community with pools, multiple parks, trails, open space, a rec center and more .Basement upgrade $25,400, Corner Lot $12,000, Central AC $3700, Faux Turf Landscape $5000. Additional upgrades include 2 inch faux wood blinds, Tile Showers, Tall Vanities.